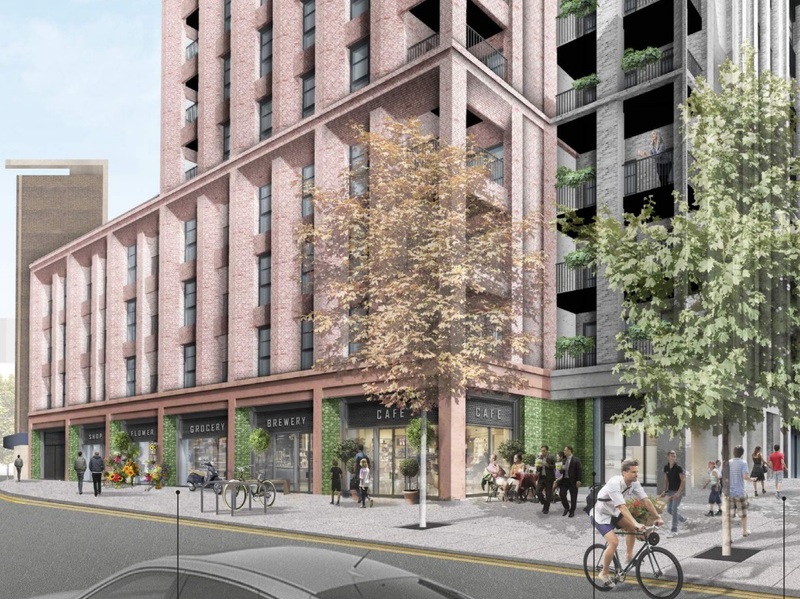 Plans for 296 homes in three blocks at Mortgramit Square in Woolwich opposite have been submitted to Greenwich Council. The site is almost opposite Waterfront Leisure Centre . 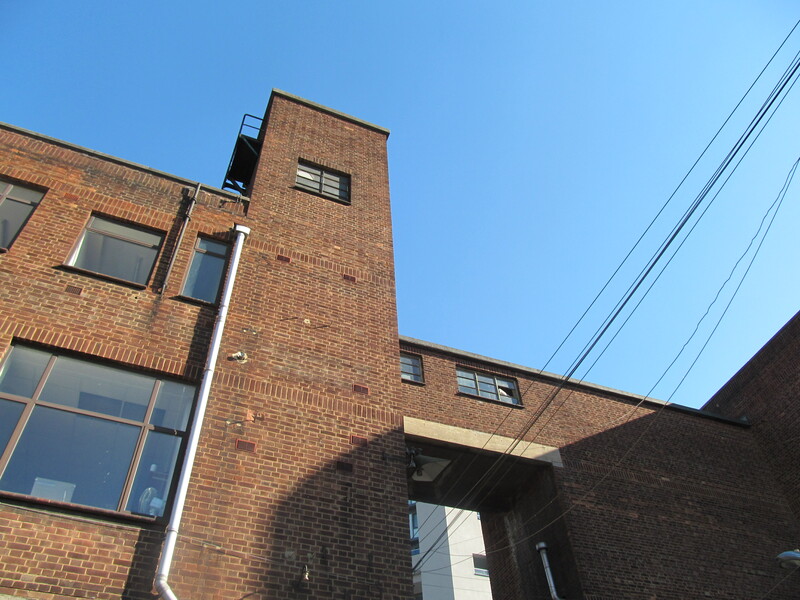 Developers are seeking to completely flatten all current buildings, including some characterful early 20th century industrial structures. Just 20% of homes are affordable though all are social housing, which is actually better than most, but below 35% targets for “affordable”. Of the 296 units planned, 143 units will be for Private Rented Sector which is heralded by some as a solution to housing issues, though with many PRS schemes offering rents at an even higher level than expensive private rent costs, its ability to assist with housing issues is limited. 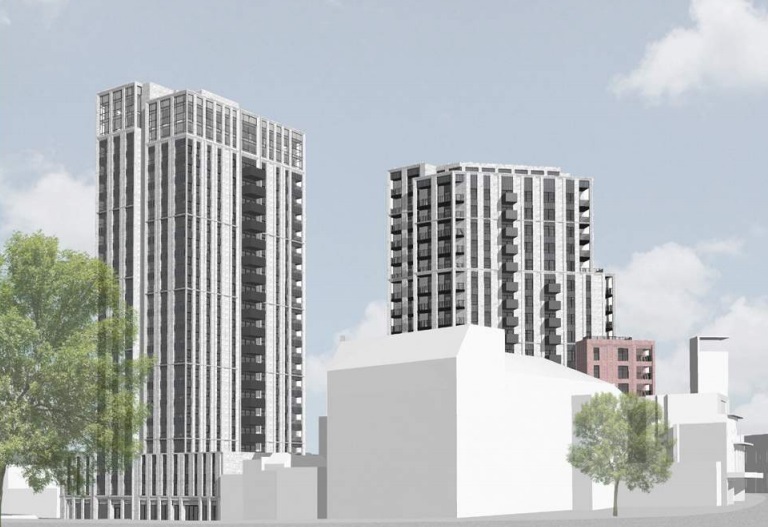 The site, at 154-172 Powis Street and 125-129 Woolwich High Street, takes the easy option of wholsesale rebuilding instead of integrating some lovely brick buildings into new builds. The area is wonderfully evocative and atmospheric though currently a bit of a car park. The justification for doing so is a bigger public space. Well, that could be created without flattening all that currently stands. It’s not that I dislike the planned public space. It’s good. Just not good enough to smash everything down. It’s the need to squeeze in three blocks and as many units as possible that determines that a new public space cannot work alongside the best of the old buildings. 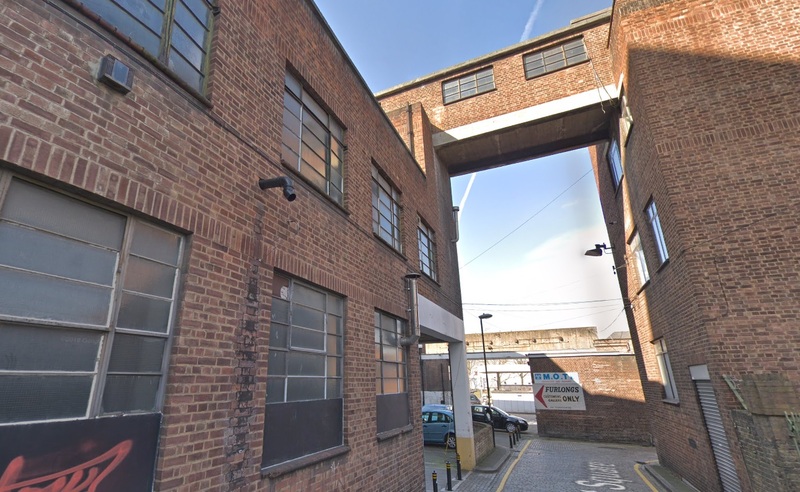 Anyone who has seen how early 20th century industrial buildings can be refurbished and integrated into new builds will see this as a very lazy option by developers. History and character? Who needs that? Yet comprehensive rebuilding is what Woolwich did the 1960s and regretted ever since. 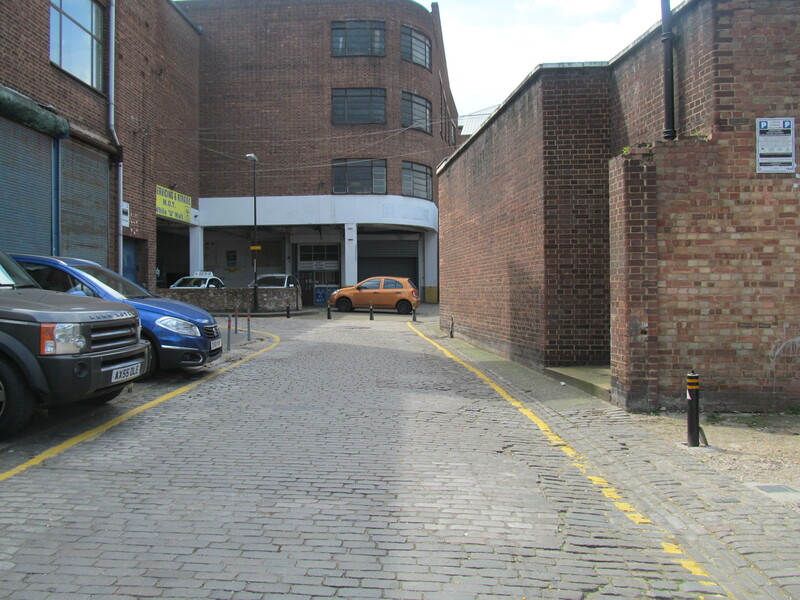 Building on right could be retained while partly removing those on left for bigger public space? There’s ample space to build on site without demolishing every trace of history. 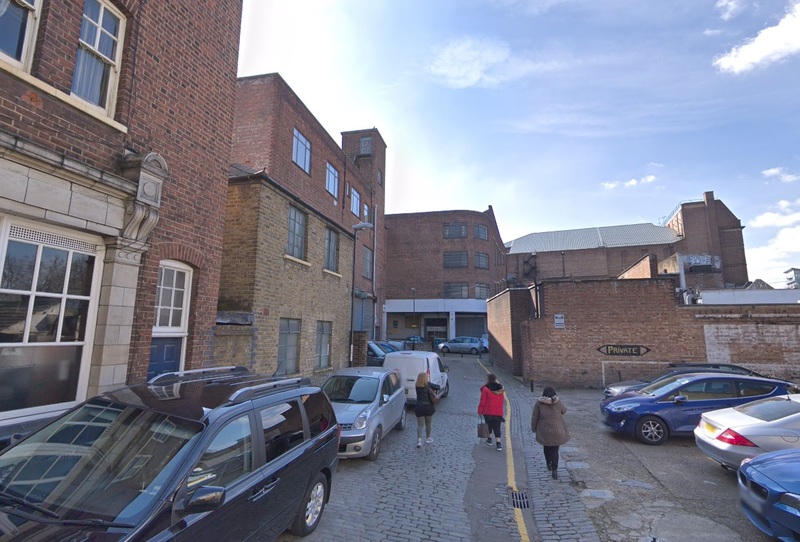 The garage site facing Woolwich High Street could see high density new builds whilst retaining the cobbled yards, bridges and some industrial buildings with conversion to other uses. Indeed, the tallest tower is not even planned for the spot where those buildings with the most character and link bridge reside. What often happens with schemes like this is many people see parts of Woolwich as they now are; run down, neglected, sorry looking. And say sweep it all away. The same thing was said all over the country in the 1960s and 1970s regarding Victorian and Georgian buildings. The same mistake will be made here. The good is worth keeping. Altering if need be for modern use, but keeping. With cleaned brickwork, new windows and signage it can look fantastic. Not every town has these assets. It’s not to say the proposal is bad. There’s lots to like. This frontage is good. But this can still be built whilst keeping the cobbled streets and best buildings behind. It’s need not be either/or. The main block on the other side is less good. It’s pretty fat and lumpen. Hardly graceful. And this is next to the listed former Granada Cinema and Coronet/Odeon cinema. The developer is Artisan Real Estate Investors Limited, a shareholding partnership between the Sanlam Group (a major South African financial services firm) and Argosy, a specialist real estate investor and management company. 28 disabled car parking spaces will be included in the basement area. Given the plethora of public transport options and town centre location this makes perfect sense. In addition there will be 473 cycle parking spaces. If you havn’t been to Mortgramit Square, it’s well worth a wander to soak up the atmosphere. It can be accessed through an entrance next to the art deco former co-op (now converted to flats) on Powis Street or beside the Prince Albert pub on Hare Street. I hope it’s not approved Spray Street and this plan are very over the top plans If both are accepted I feel that the Council are getting too excited about this ‘regeneration’ era. Very good article, thank you. 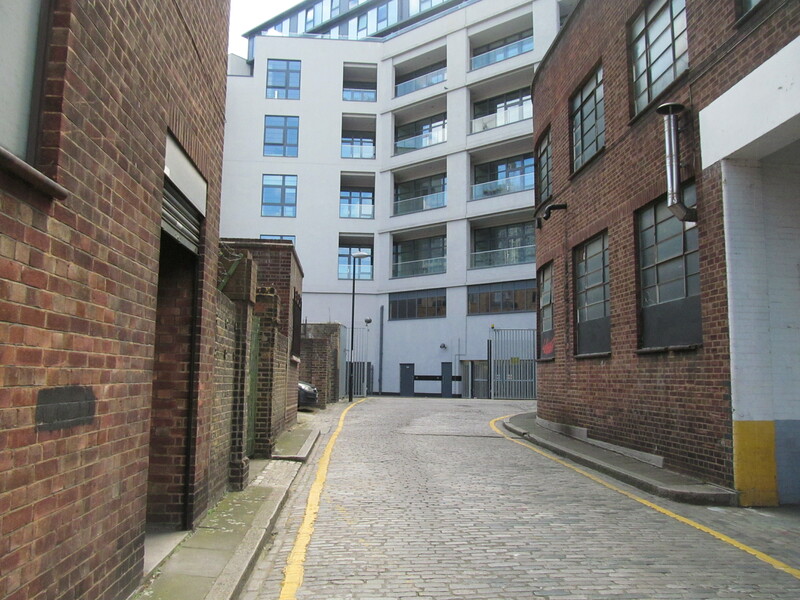 Both Spray Street and Mortgramit Square have great potential but we need developers with more imagination, architects who have the skill to blend in the old with the new. This is just crap coming from rogue developers who see Woolwich as an opportunity area to make money. I was in Stratford today and what an urban and architectural chaos that has become – successful as it may be commercially (for how long though?). It would be a shame if Woolwich went the same way. 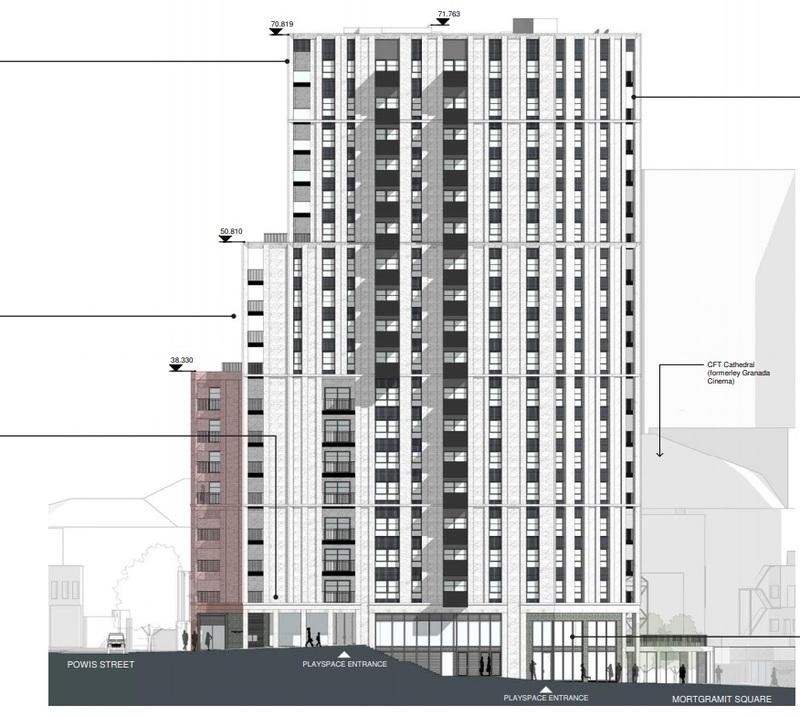 The regeneration plans leave a lot to be desired and are not sympathetic to the old architecture and surrounding area. I also agree with your comment about Stratford! I initially thought Stratford was improved with all the money pumped into the area (although the transport links have improved), but in reality if you look beyond the superficial visual improvements, it’s still not a desirable area – far too cramped and hectic! I (and many of my friends and colleagues) totally avoid the area now. I now fear Woolwich and Lewisham centre is going the same way. The council are too short term focused and have zero concept on the long term consequences of their plans and policies – Build any many high rise buildings and generate lots of revenue through council tax receipts etc, that’s essentially it. I grew up in Woolwich in late 70’s early 80s, and used to love the place. Now as an older person, I can appreciate the buildings more. I now live in Bexleyheath and often travel through Woolwich. It is becoming a disaster what is happening to the area. It reminds me of the problems Erith town centre has in the 60’s when they flattened the Victorian town. Woolwich used to have so much interesting buildings, then developers moved in and have ruined the area, for example the disgusting Tesco development, getting rid of the post office etc. They need to leave the original architecture in place as this leaves history in place. I am sick of seeing soulless boxes containing flats in the area, leave the Victorian buildings along, and if development is needed, refurb them or add them into developments. Woolwich has rich building history that needs keeping. Take not Greenwich council. Steve, I so agree with you about the post office. It was a handsome building that was perfect for that location, closing off the old town on that side. It could have been given a new lease of life and the Tesco development behind it would have looked a lot smarter. Similar with the DLR sites, where more buildings were torn down than necessary. Of course those sites have been lying derelict ever since, as this blog has pointed out more than once. 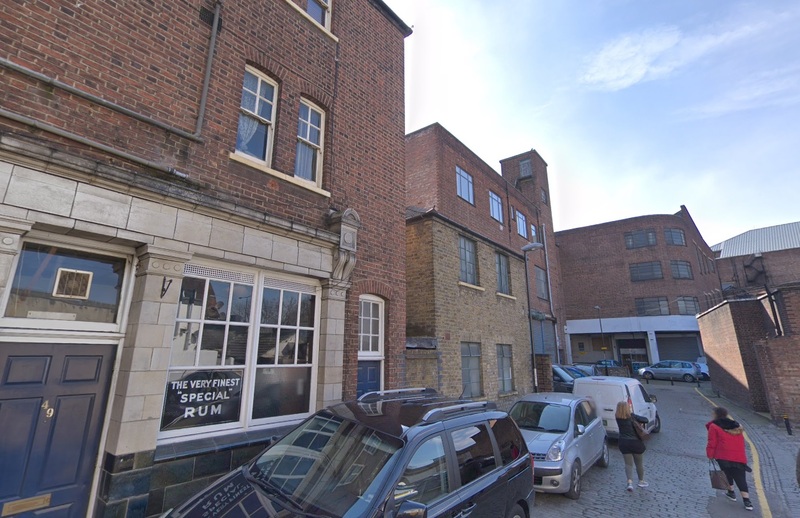 I think we now have arrived at a point in time that if we pull down more historic buildings in the centre of Woolwich, there will be too little left to constitute a coherent ensemble. You then might just as well pull it all down, like they did in the 1960s with areas like Glyndon and Woolwich Common. I would recommend anyone to get the Survey of London, Volume 48 on Woolwich. I know it’s pricey but it’s such a fascinating book and every building that’s worthwhile is in it. I sometimes wonder how many Greenwich councillors or Woolwich developers have looked at it. Thanks for not being a NIMBY, by making thoughtful suggestions for amendments and improvements rather than simply saying NO NO NOOOO!